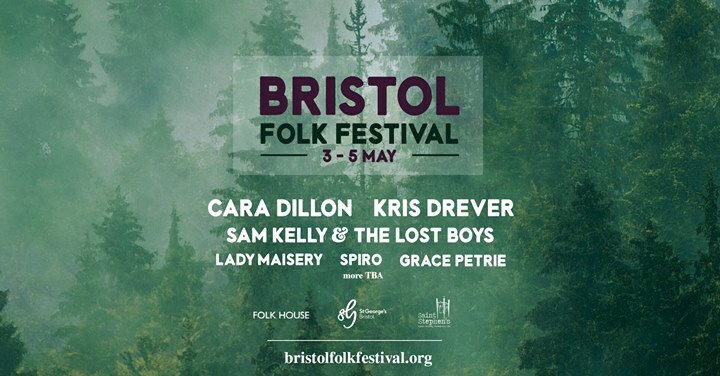 Bristol Folk Festival returns to the city for 2019. The best of the UK’s folk scene take to stages across Bristol over the May bank holiday, culminating in Sunday at St Georges. Rising stars Lady Maisery, Sam Kelly and the Lost Boys and folk troubador Grace Petrie join the folk charge over the weekend as Bristol announces its return to the global folk calendar. Grab a ticket for the whole weekend or dip in for a day. More tba. See www.bristolfolkfestival.org for the latest information. The music fills Bristol Folk House and St Stephens Church on Friday and Saturday. On Sunday 5 May we head to the beautiful venue of St Georges. We’ll be cramming music and dance into the venues and spilling out into the city streets and pubs. We still have slots for our Emerging Stages, Busking Platforms, Workshops & Dance Acts. with the subject heading. Emerging / Busking / Workshop / Dance. With a summary of your experience & relevant links to video and social media.